On Sunday, inspired by the sunny morning, we decided to head to the city centre for a visit to the Octave Market. Time to get to the city and the weather totally changed, so we opted for an “indoor” solution, in particular for the Kessel restaurant tent. It seems to be pretty busy but a waitress came immediately to us and proposed a table next to the entrance. We had few minutes to check the menu – jarret du porc, fried fish, Luxembourgish platters, hamburgers among the choices – and another nice waitress came to take our order. 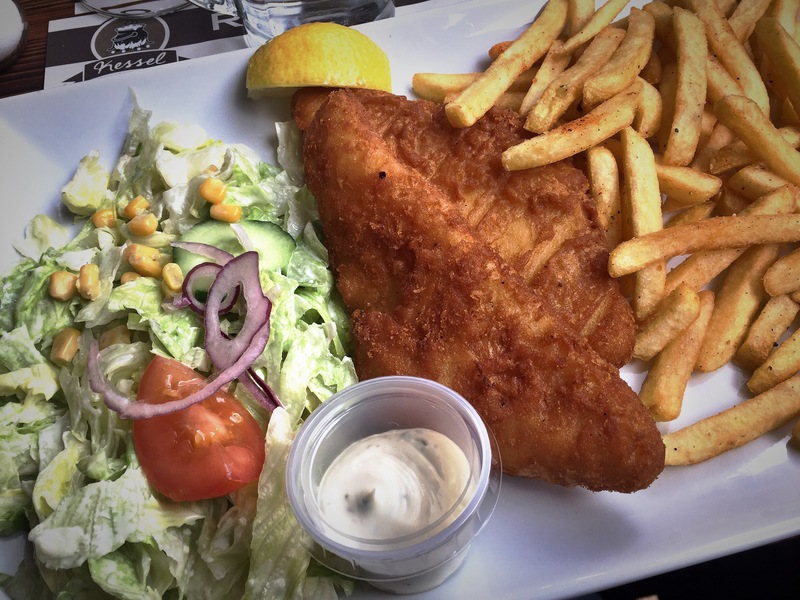 She asked the drinks first – we had water and some wine for hubby – and as for dish, I chose Fish & Chips and hubby a Kessel Schnitzel. The drinks were pretty fast, while for the food, as normal, we had to wait a good ten minutes. Dishes were a bit deluding for the view, presentation in fact was not extremely nice and the portions didn’t look as big as we expected from the place. 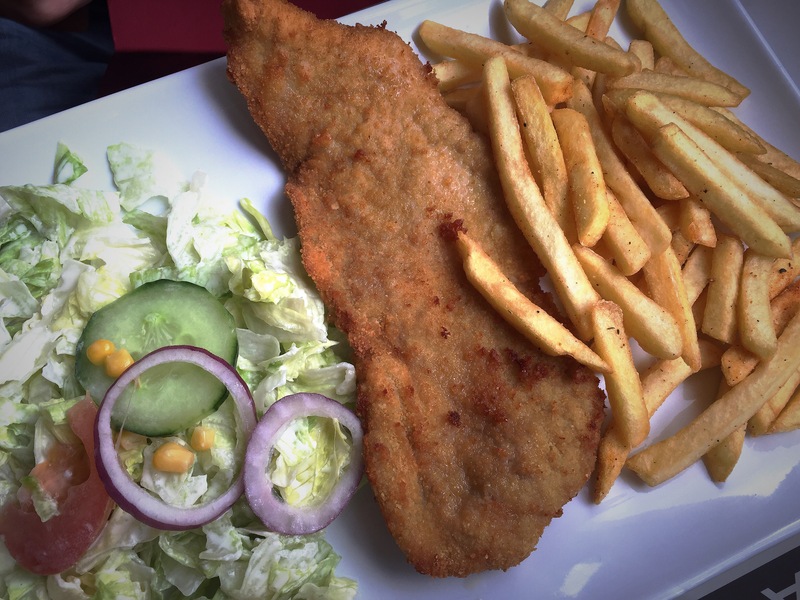 Taste was definitely better: both fries and hubby’s schnitzel were super good. My fish on the other side was very oily and a bit behind in the cooking in its central part. Menu has some very typical dishes you cannot miss – and this is one of the reasons I adore these events! Even if indoor, the location is very cold during cloudy days, so don’t expect to be too much warm. Have you been at the Octave yet? What was your favourite stand?